That brings us to the third reason we're looking forward to this listing (one that has not been discussed much on the interwebs): Spotify, once again the black sheep of the tech world, appears to be welcoming trades of their private shares with open arms. EquityZen's mission is to bring private markets to the public, and Spotify's recent maneuvers—although intended to help them with public market price discovery—are further evidence of the blurring of the lines between the private and public markets. 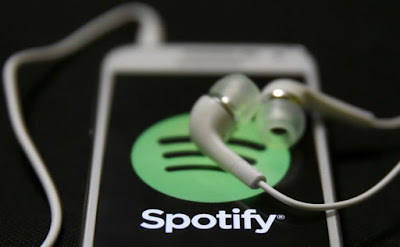 It seems it was not enough for Spotify to disrupt the recorded music industry, get users to begin paying for music again, and allow artists and labels to make money from streaming after it beat physical and digital music sales for the first time last year. Spotify also has to disrupt Wall Street with their much-hyped "non-IPO." As has been written about numerous times already, Spotify's direct listing will skip most of the bankers, a road show, an initial offering, and the large infusion of institutional capital that comes with a traditional IPO. The plus side is that they will save a quite a few bucks forgoing the fees paid to the banks who handle IPOs. Additionally, they will avoid giving away more equity in the company to new investors, and they can avoid underpricing their IPO because there will be no initial offer price. Essentially, the shares will just begin trading one day. The cynics and Wall Street bankers have their concerns, however. With no roadshow and initial investors, what will be the initial price and who will be selling on the first day? I have to hand it to Spotify, they ignore conventional wisdom, push through adversity, and do what they feel is right for their business. Whether it is insisting that paying fractions of pennies per stream of a song will work at scale or this non-IPO, they do it their way. Additionally, Spotify's answer to Wall Street's concern over what price they will trade and how to limit volatility when they do is no exception. Spotify is simply allowing buyers and sellers to trade freely while the company is still private. Bloomberg notes Spotify's response well, quoting that "private trading is expected to be a key part of the company’s effort to guide the market to a price... The company recently informed existing investors that it waived its right to buy shares before they are offered to others." In private company stock sales, purchasers are typically subject to a 30-day Right of First Refusal. This adds a delay in the transaction process but also gives the Company some protection over their cap table. Spotify has recently thrown this out the window, with Bloomberg reporting that it will allow trades--while still a private company--between existing shareholders and new investors to happen faster, and at a more efficient clip. The goal here for Spotify and their advisors (they are still paying a few banks $30 Million!) is to get a real-time view into the buy and sell orders right up until the listing. With an active private market, how different can the public market be? We're excited to see how Spotify's listing plays out (pun intended). However, while we all speculate on their listing decision and potential outcome, Spotify has no doubt benefited from the wide publicity it has generated (like this, this, this and this) for their type of listing. We're excited about the discussion it has ignited around IPOs, private and public markets, and what this means for upcoming tech companies. EquityZen was started because secondary markets were broken, because shareholder's liquidity needs weren't the same as their employer's, and because access to this asset class required a seven-figure check. We want to bring private markets to the public and provide liquidity for all. Spotify's warm welcome to secondary sales is music to our ears (excuse the puns) that others feel the same way. This experiment serves as an example of how the private secondary markets can be an asset for contemplating an offering, and the ever-growing blurred lines between private and public markets. We recently included Spotify in our 2018 IPO Outlook! While Spotify was far from a surprise, be sure to check that piece out to see what other companies have caught our eye for the year ahead. Investments in private technology companies, such as Spotify, involve substantial risk, including total loss of investment. Not all private technology investments, including those available through EquityZen, will perform like the subject of this post.